Donating blood is definitely an act of kindness. 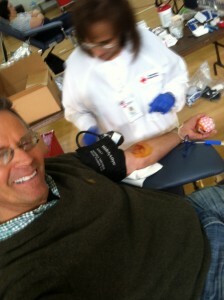 It has been a bit of time since I donated blood. It is something too easy to forget. I hope this will serve as a reminder to you. This entry was posted on Sunday, May 4th, 2014 at 8:40 am	and is filed under Kindness. You can follow any responses to this entry through the RSS 2.0 feed. You can leave a response, or trackback from your own site.